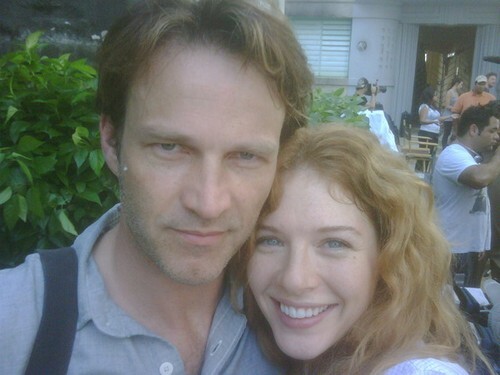 Rachelle med Stephen Moyer (True blood)! "Moyer went home 2 start work on True Blood but Luis Guzman just rolled into town! On set laughter hasn't stopped. Scary film- joyful filming"
Snälla säg att ni skojar! Det har kommit bilder på den nya Victoria, i Eclipse som jag inte mins namnet på, och jag kan nog redan nu säga att det inte kommer bli så super att ha henne med! Jag menar kolla håret!!! Det ser ju falkare ut än Bellas! Är den köpt ppå "Butriks" så förstår jag. 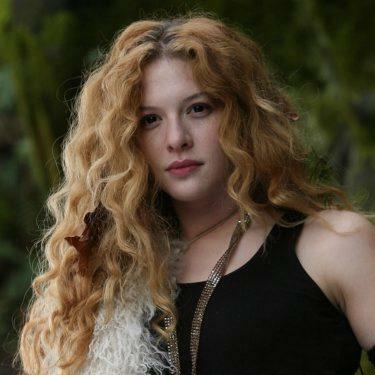 Rachel Lefevre hade ju sådant hår! Jag är verkligen ledsen om ni kanske blir sura på mig men detta är min åsikt och jag gillar inte den nya "Victoria"
"I was stunned by Summit's decision to recast the role of Victoria for ‘Eclipse,'" Rachelle said in a statement to Access Hollywood. 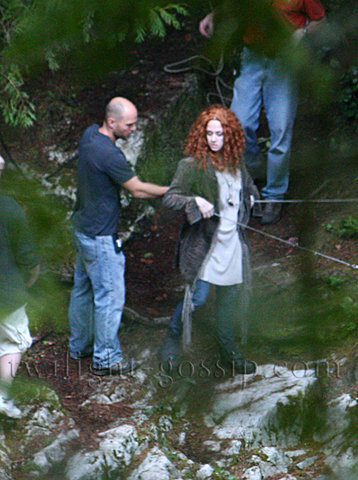 On Tuesday, Summit announced that Bryce Dallas Howard would be taking on the role in "Eclipse," due in May 2010. "I was fully committed to the ‘Twilight' saga, and to the portrayal of Victoria," Rachelle continued, explaining the turn of events that led to the casting change. "I turned down several other film opportunities and, in accordance with my contractual rights, accepted only roles that would involve very short shooting schedules. My commitment to ‘Barney's Version' is only ten days. Summit picked up my option for ‘Eclipse.' Although the production schedule for ‘Eclipse' is over three months long, Summit said they had a conflict during those ten days and would not accommodate me. Given the length of filming for ‘Eclipse,' never did I fathom I would lose the role over a 10 day overlap. I was happy with my contract with Summit and was fully prepared to continue to honor it. Summit chose simply to recast the part." The star concluded her statement with a regretful tone. "I am greatly saddened that I will not get to complete my portrayal of Victoria for the ‘Twilight' audience. This is a story, a theatrical journey and a character that I truly love and about which I am very passionate. I will be forever grateful to the fan support and loyalty I've received since being cast for this role, and I am hurt deeply by Summit's surprising decision to move on without me. I wish the cast and crew of ‘Eclipse' only the very best," she said. The fact remains that Ms. Lefevre's commitment to the other project - which she chose to withhold from Summit until the last possible moment - makes her unfortunately unavailable to perform the role of Victoria in THE TWILIGHT SAGA: ECLIPSE." Rachelle kommer inte spela Victoria i Eclipse. Istället ska ‘Bryce Dallas Howard' göra det. Rachelle har tydligen en annan film som hon ska vara med i och det krockar med Eclipse. Jag tycker det är jättesynd. Det blir så svårt för dom som inte läst boken eller läser Twilight-bloggar. Men Bryce är en väldigt duktig skådespelerska och jag hoppas hon gör ett bra jobb med rollen. vad tycker ni?